Filter is designed for use with Honeywell Easy-to-Care Top-fill Console Humidifiers. Routinely replace the filter in your humidifier so it can keep removing minerals and pollutants from water. Filter is reinforced for maximum efficiency and longer filter life. Accumulair Platinum Air Filter - For Air Conditioner, Furnace - Remove Mold Spores, Removes Mildew, Remove Bacteria, Remove Micro Organisms, Remove Allergens, Remove Dust, Remove Smoke, Remove Pet Dander, Remove Dust Mite - 10" Height x 20" Width x 1" Depth Platinum air filter for furnaces and air conditioners features a supercharged design to attract particulates like dust to a TV screen and provide up to 30 times more efficiency at capturing allergens than ordinary fiberglass filters. Its uniform pleat shape delivers a high level of dust holding capacity and maximizes airflow for effective performance for up to 90 days. Chemical-free construction eliminates worry of adding unnecessary chemicals to your air and does not support the development of mold, mildew, bacteria or other microorganisms in normal use. Air filter is designed to capture fine airborne allergens such as dust, smoke, pet dander, dust mites and more. 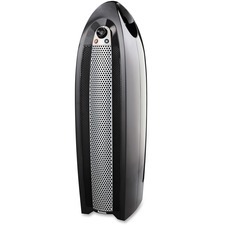 Air purifier helps remove up to 99 percent of airborne particles such as pollen, dust, mold, pet dander and smoke for effective relief from odors and irritants in the air. HEPA-type filter captures particles as small as 2 microns from air passing through the filter to let you breathe comfortably. 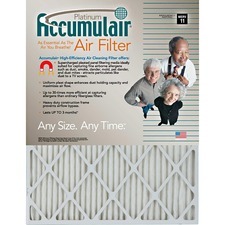 Washable pre-filter helps capture larger particles while also extending the life of the HEPA-type filter. Included Aer1 filter features the power of Arm and Hammer Baking Soda for powerful odor elimination. 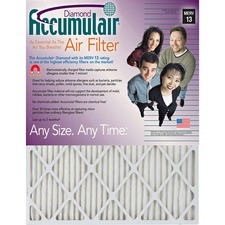 Accumulair Diamond Air Filter - For Air Conditioner, Furnace - Remove Mold Spores, Removes Mildew, Remove Bacteria, Remove Micro Organisms, Remove Allergens, Remove Dust, Remove Smoke, Remove Pet Dander, Remove Dust Mite - 14" Height x 18" Width x 1" Depth Diamond air filter for furnaces and air conditioners features an electrostatically charged design to effectively capture airborne allergens smaller than one micron. High-quality construction provides up to 30 times more efficiency at capturing allergens than ordinary fiberglass filters. Its uniform pleat shape delivers a high level of dust holding capacity and maximizes airflow for effective performance for up to 90 days. Chemical-free construction eliminates worry of adding unnecessary chemicals to your air and does not support the development of mold, mildew, bacteria or other microorganisms in normal use. Air filter is designed to capture fine airborne allergens such as dust, smoke, pet dander, dust mites and more. 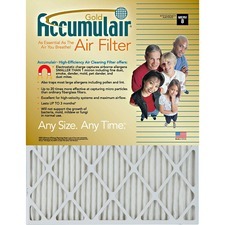 Accumulair Gold Air Filter - For Air Conditioner, Furnace - Remove Mold Spores, Removes Mildew, Remove Bacteria, Remove Micro Organisms, Remove Allergens, Remove Dust, Remove Smoke, Remove Pet Dander, Remove Dust Mite - 18" Height x 20" Width x 1" Depth Gold air filter for furnaces and air conditioners features an electrostatically charged design to effectively capture airborne allergens smaller than one micron. High-quality construction provides up to 20 times more efficiency at capturing allergens than ordinary fiberglass filters. Its uniform pleat shape delivers a high level of dust holding capacity and maximizes airflow for effective performance for up to 90 days. Chemical-free construction eliminates worry of adding unnecessary chemicals to your air and does not support the development of mold, mildew, bacteria or other microorganisms in normal use. Air filter is designed to capture fine airborne allergens such as dust, smoke, pet dander, dust mites and more. Accumulair Platinum Air Filter - For Air Conditioner, Furnace - Remove Mold Spores, Removes Mildew, Remove Bacteria, Remove Micro Organisms, Remove Allergens, Remove Dust, Remove Smoke, Remove Pet Dander, Remove Dust Mite - 14" Height x 24" Width x 1" Depth Platinum air filter for furnaces and air conditioners features a supercharged design to attract particulates like dust to a TV screen and provide up to 30 times more efficiency at capturing allergens than ordinary fiberglass filters. Its uniform pleat shape delivers a high level of dust holding capacity and maximizes airflow for effective performance for up to 90 days. Chemical-free construction eliminates worry of adding unnecessary chemicals to your air and does not support the development of mold, mildew, bacteria or other microorganisms in normal use. Air filter is designed to capture fine airborne allergens such as dust, smoke, pet dander, dust mites and more. Accumulair Diamond Air Filter - For Air Conditioner, Furnace - Remove Mold Spores, Removes Mildew, Remove Bacteria, Remove Micro Organisms, Remove Allergens, Remove Dust, Remove Smoke, Remove Pet Dander, Remove Dust Mite - 20" Height x 24" Width x 1" Depth Diamond air filter for furnaces and air conditioners features an electrostatically charged design to effectively capture airborne allergens smaller than one micron. High-quality construction provides up to 30 times more efficiency at capturing allergens than ordinary fiberglass filters. Its uniform pleat shape delivers a high level of dust holding capacity and maximizes airflow for effective performance for up to 90 days. Chemical-free construction eliminates worry of adding unnecessary chemicals to your air and does not support the development of mold, mildew, bacteria or other microorganisms in normal use. Air filter is designed to capture fine airborne allergens such as dust, smoke, pet dander, dust mites and more. Accumulair Platinum Air Filter - For Air Conditioner, Furnace - Remove Mold Spores, Removes Mildew, Remove Bacteria, Remove Micro Organisms, Remove Allergens, Remove Dust, Remove Smoke, Remove Pet Dander, Remove Dust Mite - 10" Height x 24" Width x 1" Depth Platinum air filter for furnaces and air conditioners features a supercharged design to attract particulates like dust to a TV screen and provide up to 30 times more efficiency at capturing allergens than ordinary fiberglass filters. Its uniform pleat shape delivers a high level of dust holding capacity and maximizes airflow for effective performance for up to 90 days. Chemical-free construction eliminates worry of adding unnecessary chemicals to your air and does not support the development of mold, mildew, bacteria or other microorganisms in normal use. Air filter is designed to capture fine airborne allergens such as dust, smoke, pet dander, dust mites and more. 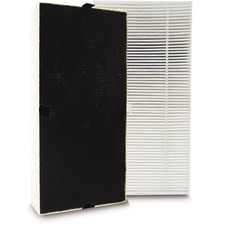 Maximize the performance of your air purifier with this replacement air filter. HEPA-Type filtration captures up to 99 percent of airborne pollutants such as dust, pet hair/dander, pollen, smoke and odors as small as 2 microns. Dual Action Filter features a specially formulated carbon pre-filter that traps household odors to reduce unpleasant scents. Air filter is wrapped in a protective layer to ensure purity. 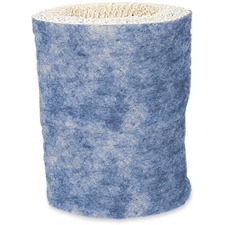 Replacement filter is designed for use with Febreze air purifiers (sold separately).